When your timber floors have incurred water damage, be assured that there's an alternative to ripping them out. One of the major concerns of wet timber floors is 'cupping' (edges of board higher or lower than the centre) due to moisture. Cupping can occur straight away or can take time to manifest depending on the underlying surface. If your floors are professionally dried using the appropriate equipment, cupping can be prevented or your floors can be restored. Restoration can save you money and the inconvenience of replacing your timber floors. Like 'cupping' there are other factors to consider when dealing with wet timber flooring like swelling, warping, shrinkage and decaying. Our ITI and IICRC Trained and Certified technicians will take these factors into consideration and provide you with an appropriate assessment of the damage and help restore you timber flooring to pre-loss condition. 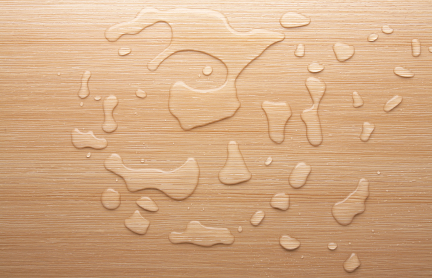 If you act quickly, you may be able to reduce the amount of damage water can cause to your timber floors. Property Disaster Solutions is based in Brisbane and our primary Service Area is Brisbane, Gold Coast, Sunshine Coast and South East Queensland (SEQ) but we also work outside this area, so feel free to Contact Us with any questions you may have.